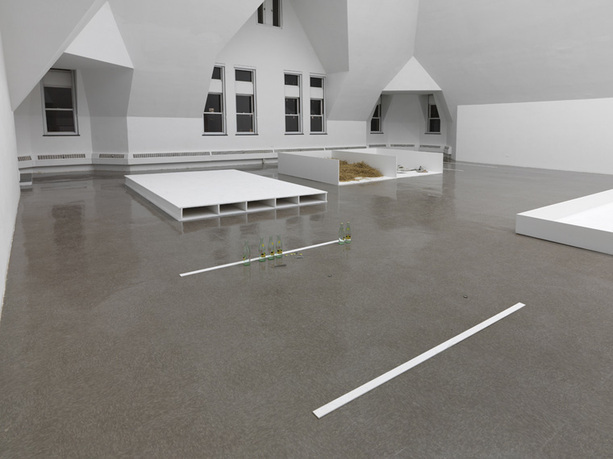 Gabriel Sierra, installation view at the Renaissance Society, 2015, Chicago. Courtesy of the Renaissance Society at the University of Chicago. 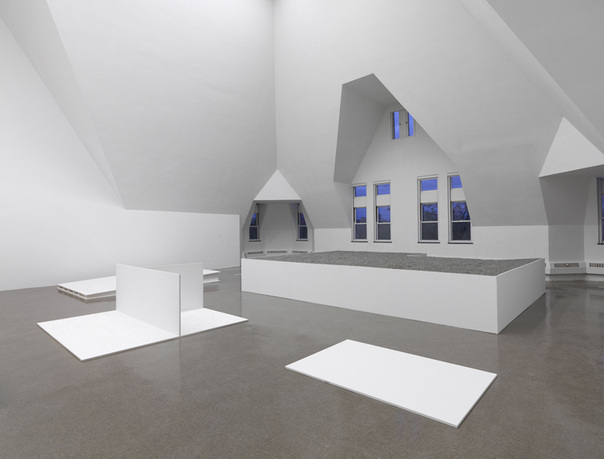 In May 2015, the Renaissance Society presented a new, site-specific installation by Gabriel Sierra, the Bogotá-based artist's first solo exhibition in the United States. 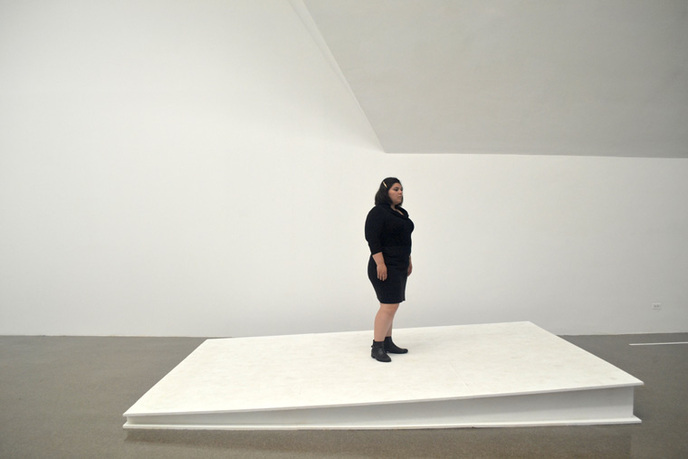 Sierra is intrigued by the language of man-made objects and the dimensions of the spaces in which we live, work, and think. 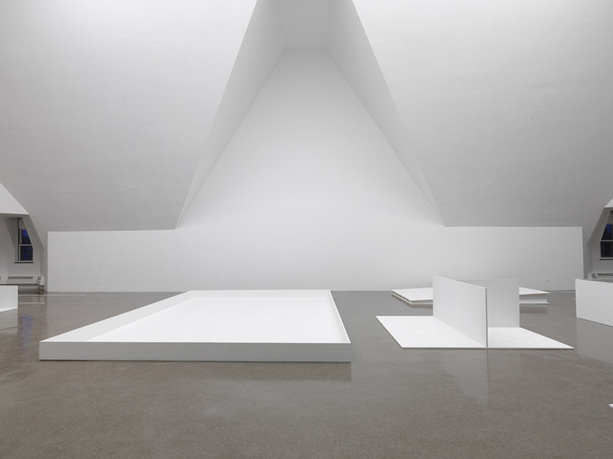 His practice employs a variety of techniques—from sculpture and spatial interventions to performance and texts—to examine how the human body functions in relation to its environment. 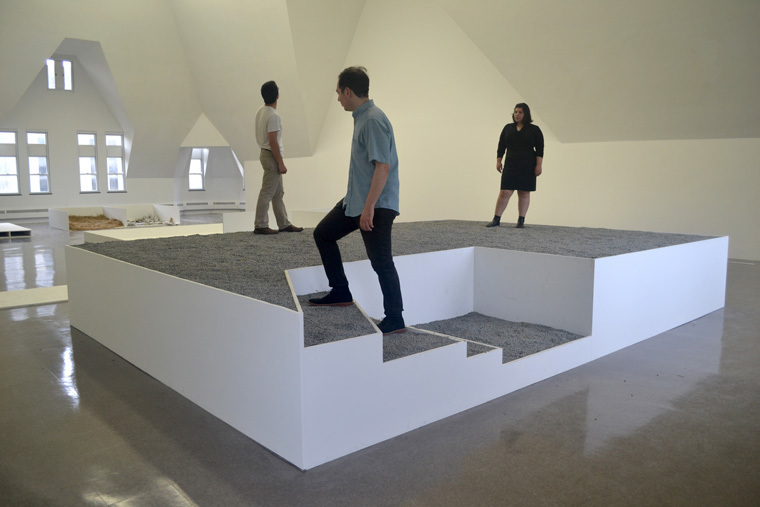 His project at the Renaissance Society, the title of which changed hourly, consisted of a group of constructions to stand in or to walk over, relating abstractly to the idea of inhabiting different moments of space and time. 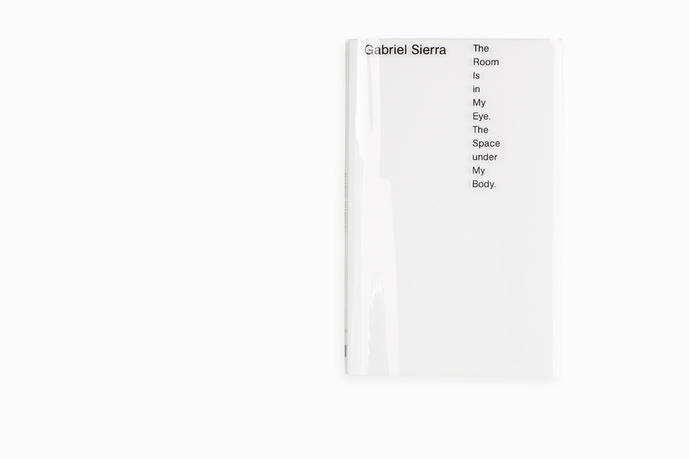 The exhibition catalogue features documentation of this new body of work and the visitor’s interaction with the installation, as well as new, scholarly essays on Sierra’s practice and its lineage. With eight different titles, this publications seeks to translate the show into a book. 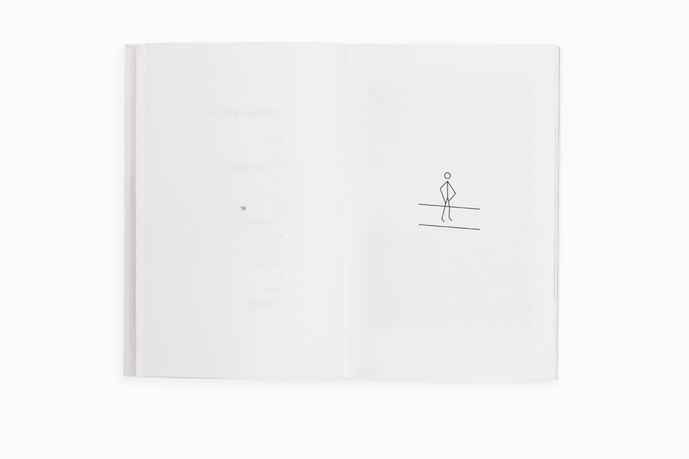 Printed on clear, interchangeable jackets, the reader has the ability to choose or alter the title at will, holding a similar, guided agency in the act of reading that Sierra instated during the run of his exhibition. Titles include: Monday Impressions; How the Outside Leaks into the Room; Smells like 100 Years Old; The Room Is in My Eye. The Space under My Body; In the Meantime, (This Place Will be Empty after 5:00pm); An Actual Location for This Moment; Few Will Leave Their Place to Come Here for Some Minutes; and Did You Know Who Built Your House? Gabriel Sierra lives and works in Bogotá. Recent solo exhibitions include ggaabbrriieellssiieerrrraa at Kurimanzutto, Mexico City, Mexico (2013) and Thus Far at Peephole, Milan, Italy (2013). His work has been included in numerous group exhibitions, including Do Objeto para o Mundo, COLEÇÃO INHOTIM, Itaú Cultutal, São Paulo (2015); the Guggenheim UBS MAP Global Art Initiative: Latin America, Guggenheim Museum, New York (2014); Impulse, Reason, Sense, Conflict at Cisneros Fontanals Art Foundation, Miami (2014), and the 2013 Carnegie International, Pittsburgh (2013). 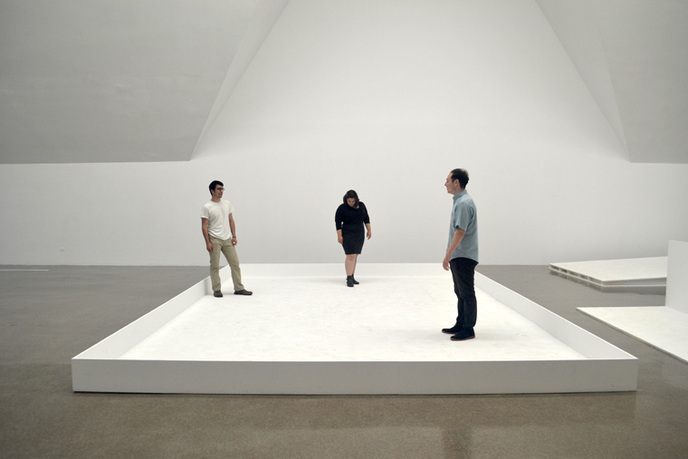 Essays are featured by Irene V. Small, curator and assistant professor of contemporary art and criticism at Princeton University; and Douglas Fogle, chief curator and deputy director of exhibitions and public programs, Hammer Museum, Los Angeles. Solveig Øvstebø is the executive director and chief curator at the Renaissance Society at the University of Chicago. Since joining the Renaissance Society, Øvstebø has curated solo exhibitions by Nora Schultz, Christina Mackie, Josef Strau, Mathias Poledna, Varda Caivano, and Gabriel Sierra. 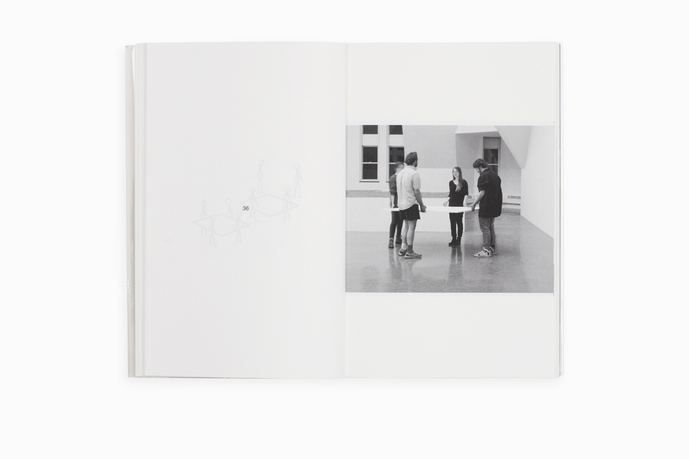 Prior to her position in Chicago, Øvstebø served as the director of Bergen Kunsthall from 2003 to 2013, and taught art theory and art history at the art academies of Helsinki, Finland, and Bergen, Norway. Øvstebø has written and lectured extensively on contemporary art. 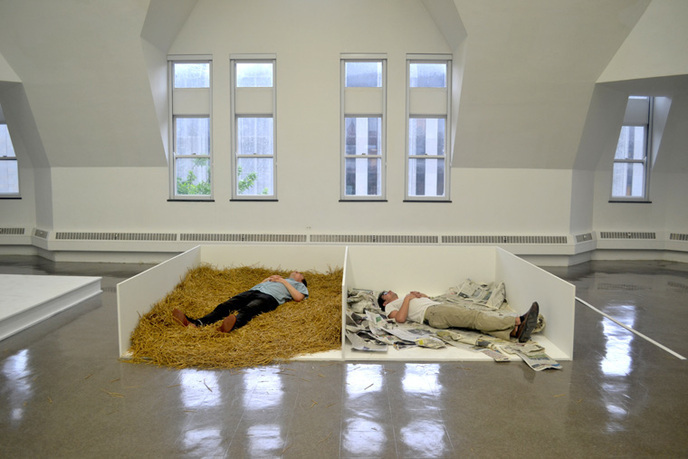 The Renaissance Society is an independent, non-collecting museum of contemporary art located on the campus of the University of Chicago. Founded in 1915, the museum maintains a commitment to supporting ambitious artistic experimentation, primarily through the commissioning of new works, and to fostering a rigorous and interdisciplinary discourse around it. In addition to our exhibition program, we host a dynamic range of concerts, performances, lectures, screenings, and readings. Admission to the gallery and events is always free.